Stopping to listen to some street musicians on a bustling Saturday afternoon on the pedestrian streets in the heart of the city. 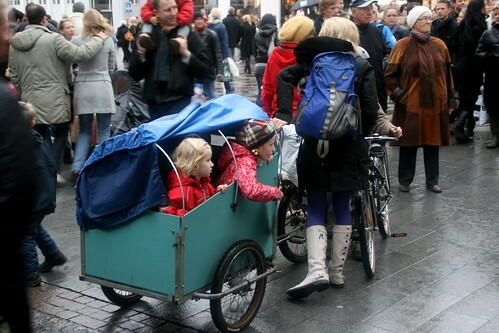 Perfect with a Christiania Bike. 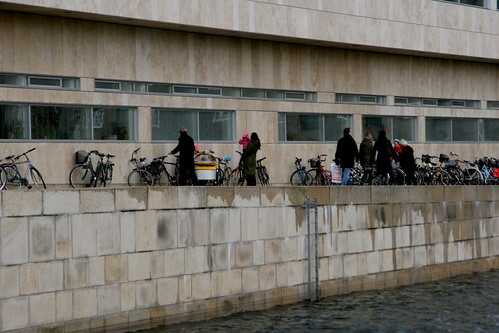 The new Opera on the harbour is lined with bike racks along either side. Every on a Sunday afternoon, they're filled. 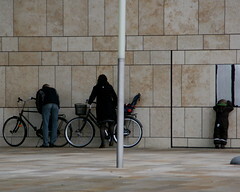 A family of three arrives at the new Opera. Click goes the wheel lock and off they go. 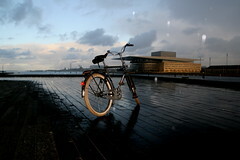 Oh, here's the Opera in the background, with my bike in the foreground. 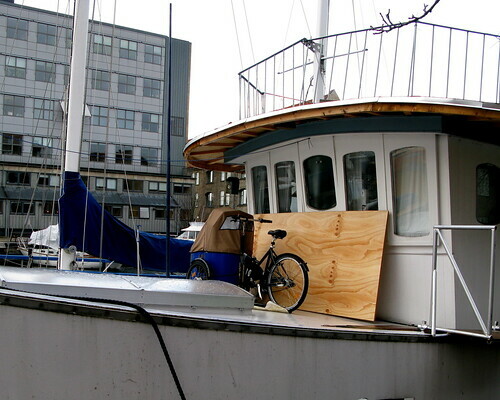 A Nihola cargo trike on a ship along one of the canals.